Like an online business card you can include in your email signature, embed on a website, or share with others. Before setting up your Marketing Profile, be sure that you completed the PowerUp purchase from Your Account. Click here to learn about PowerUps and pricing. To set up your Marketing Profile on Travefy, simply follow the below steps. Once logged into your account, click on "Account" at the top of your browser. From there, click on "Marketing Profile" on the lefthand side. Once complete simply click the green button "Save Changes"
Once complete you can either use your marketing profile as a stand-alone link to include in your email signature or elsewhere. 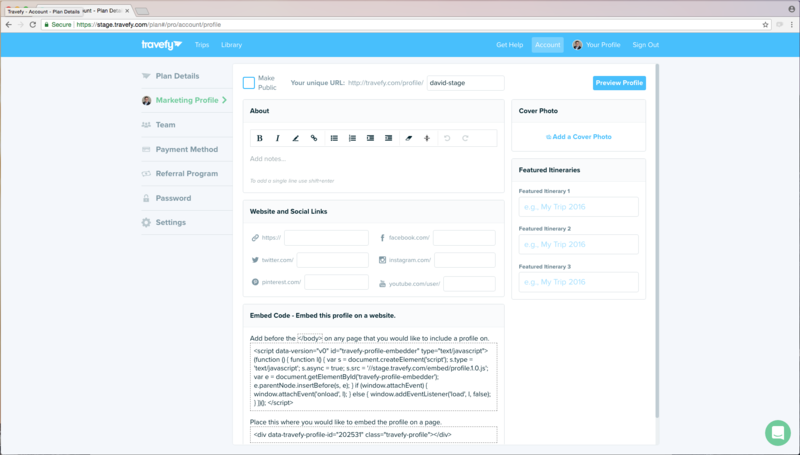 You can also fully embed your Marketing Profile on your website. 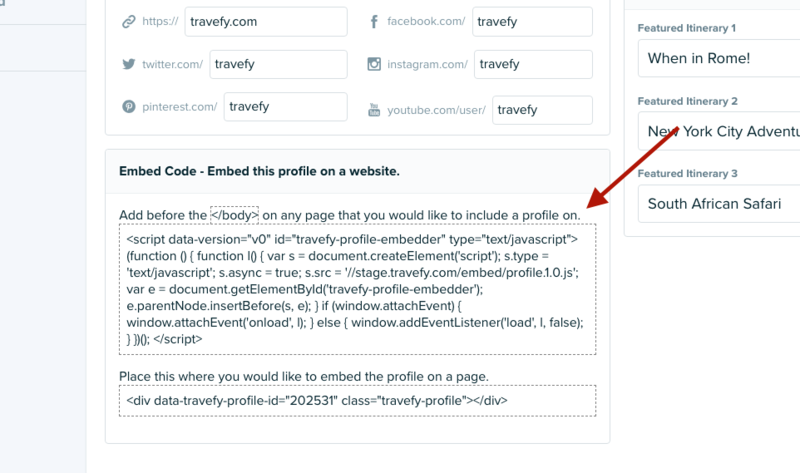 You can find your specific Embed Code at the bottom of your Marketing Profile builder.